Little pig, little pig, let me in! Not since the movie Babe have we seen such cute little piggies. 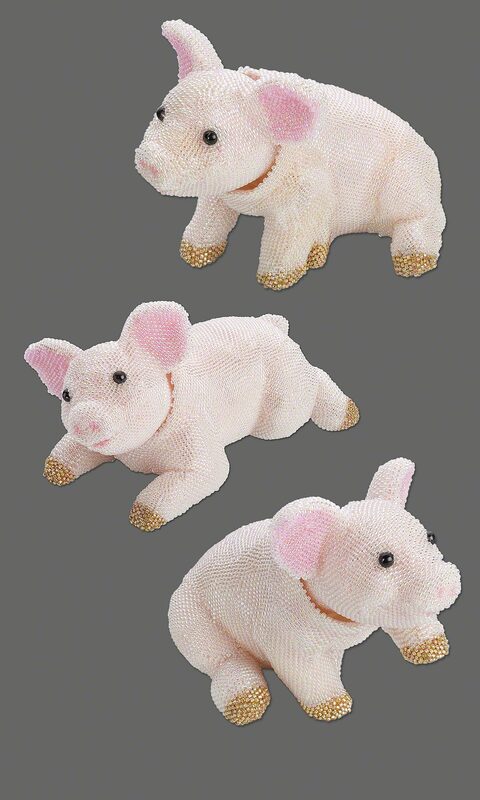 These fabulously designed seed beaded pink sculptures evoke memories of the age-old Three Little Pigs bedtime story with their stuffed and puffed adorable little bodies that capture the playful spirit of youth and mischievous fun.